The VM-series D/PD (D=smooth drum) (PD=padfoot drum) is a compact single-drum soil compactor with big machine features and performance. The machine has been designed to be highly versatile with minimum maintenance, fitting a wider range of utility-sized applications confronting contractors today. 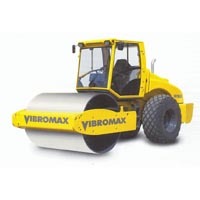 Its excellent maneuverability makes it the right choice for confined areas.